1540 Hermitage Court Durham, NC 27707 sits atop a gentle knoll and is nestled into the Forest Hills neighborhood, one of Durham’s prettiest locations. 1540 Hermitage Court is a short walk to the Forest Hills Park and is within the walk zone for the Morehead Montessori School. Additionally this elegant home is conveniently close to the Durham Freeway and Research Triangle Park, Downtown Durham, Duke and so much more. Historical and significant colonial features have been well-preserved and integrated into this home. The front foyer is elegant and the formal spaces are spacious and light filled. Care to learn more or wish to visit this home? Phone me at 919-608-2371 or visit TeamMichaelSullivan.com for full listing information. Stick with me kid and I’ll find you a deal…. Famous last words, right? 6507 Clarksdale Lane in the Wydcross neighborhood is just that deal. 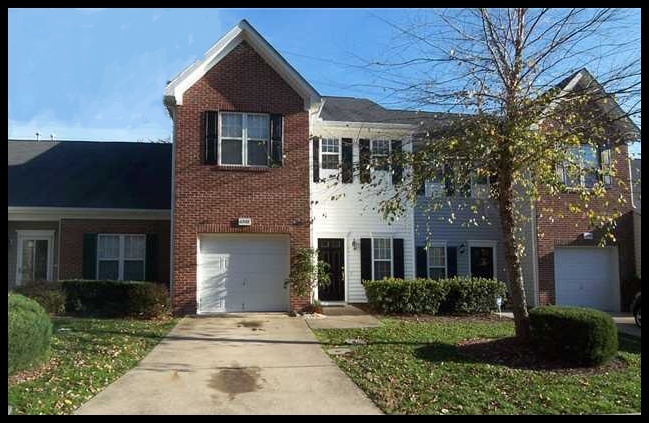 Do you desire a town house with 1700 square feet, a garage and is minutes to Southpoint and RTP? Well here it is. A terrific deal is waiting here, the foreclosed home has fresh paint, new carpet and refinished hardwood flooring and is priced under, yes UNDER $135,000. Interested in seeing inside or learning more or how about finding the absolutely BEST buy in our market…then phone 919-608-2372 or email me today. In the last few months I have encountered numerous folks who invariably ask, how is the market? My answer, soft, and the follow up question; it’s getting better, right? Cutting to the chase, NO the market is not getting better, it is just different. There is REALTOR attrition. In my market REALTORS who I thought would be around for the long haul are out of the business meaning less competition. Consider this snap shot; according to the Triangle Multiple Listing between 1/1/2010 and 4/19/2010 there were 114, 3 bedroom, 2.5 bath home sales at an average sale price of $192,930 in Durham County NC. Also in Durham County NC from 1/1/2011 to 4/19/2011 there were 113, 3 bedroom, 2.5 bath home sales at an average sale price of $181,938 from 2010 to 2011 a decline in price of just over 6% for identical time periods. So if the American dream, the 3 bedroom, 2.5 bath home is any indication of what the market is doing then, the news is a bit depressing; prices are soft and buyers are relying on FHA/VA and USDA government backed programs to mortgage their homes. Finally and experientially, rental homes are renting, foreclosed homes are selling and those home sellers who offer strong incentives and aggressive pricing to potential buyers are selling their homes. Pricing property for sale is still a testing of the market. So if a home is brought to market and nothing happens the price must be adjusted down to encourage a sale. For Rent: 3BR/3+1BA Single Family House in Bahama, NC, $1,500/month. Open Houses Sunday April 10 2-5pm Durham NC.